The Karachi Port and Port Qasim handled a cargo volume of 147,358 tons during the last 24 hours that included 107,000 tons of imports and 40,358 tons of exports, the two ports reported on Tuesday. Accordingly, the Karachi Port handled imports, including containerised cargo (15,616 tons), bulk cargo (2,018 tons), DAP (3,955 tons), rock phos (7,581 tons) and oil / liquid cargo (27,841 tons). It handled exports, including containerised cargo (17,616 tons), and bulk cargo (498 tons). Port Qasim handled imports, including furnace oil (12,009 tons), palm oil (3,500 tons), coal (12,269 tons) and containerised cargo (22,211 tons). It handled exports, including sand (630 tons), cement (6,527 tons) and containerised cargo (14,003 tons). 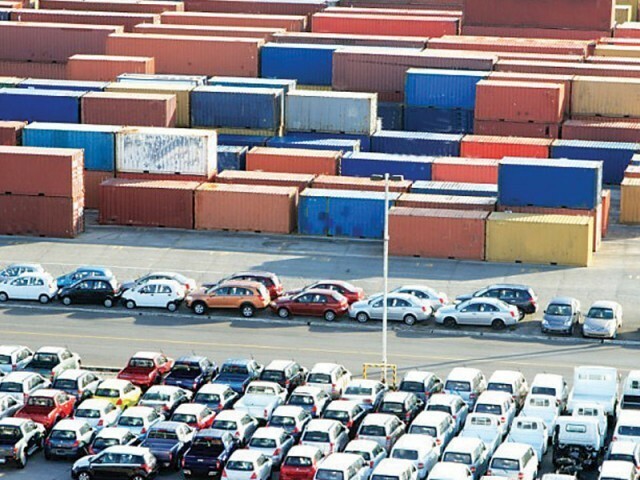 Berth occupancy was measured at 50 percent at the port on Monday, the Port Qasim Authority reported. It said that it moored one ship during the last 24 hours, which was carrying containers. With this, a total of seven ships loaded and offloaded containers, cement, sand, coil, phosphoric acid, coal and furnace oil. Besides, another three ships carrying containers, fertiliser and palm oil also arrived at the outer anchorage of the port during the last 24 hours, it said.